Raise your hand if you are already looking forward to the upcoming winter break! While I will undoubtedly have moments of hiding in the bathroom when the kiddos and I are having a tad too much together time, I am counting down right along with my children. The stress of school and schedules is wearying and a break is welcomed by all of us. One thing I’ve learned since hopping in on this motherhood gig is the importance of scheduling some (not a ton!) 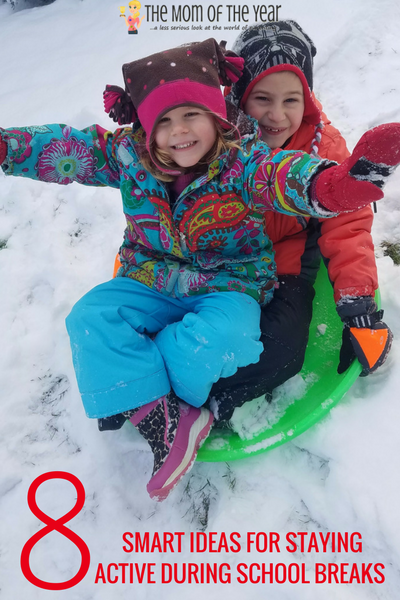 events and activities during school breaks to keep you and the kids active and both mentally and physically healthy (read: so no one loses their mind.) 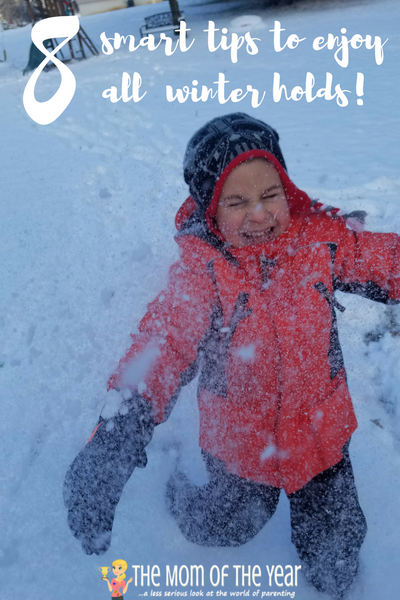 Thanks to the helpful guidance of the Boys & Girls Clubs of America’s Triple Play program and my own experience with time off school, I’m sharing below my best tips for managing a balanced, healthy school break that will leave everyone feeling satisfied and relaxed when it’s time to head back to school. What is the Boys & Girls Clubs of America’s Triple Play program? Boys & Girls Clubs of America (BGCA) is committed to providing safe, fun and affordable places for 4 million kids and teens to go during non-school hours and engage in enriching programs and activities with smart nutritional choices while building self-confidence, so the Triple Play program is a natural extension of this effort. BGCA’s mission is to enable all young people to acheive their best great future via three pillars: academic success, good character and citizenship, and healthy lifestyles. These three pillars (mind, body and soul) are the foundation of the Triple Play program. In partnership with the Anthem Foundation and The Coca-Cola Company, The Triple Play program encourages kids and teens to excel by giving them tools to lead a life of health and wellness and sharing ways parents can help kids develop a strong mind, body and soul: http://bit.ly/2xNRRsa. 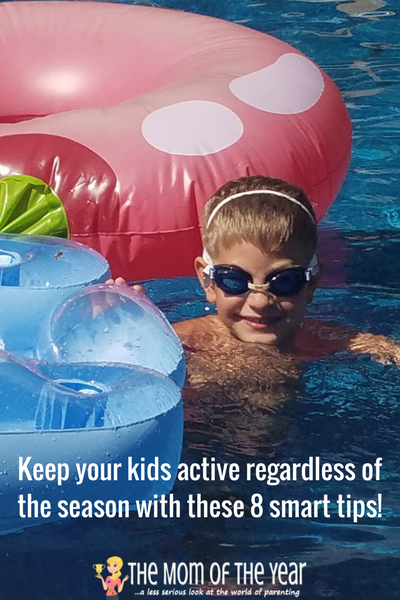 It’s important to keep kids active year-round, even during school breaks. Breaks in routine and school schedules can derail health efforts, leading to inactive or unhealthy days. As winter break nears, it’s important to find ways to maintain a healthy, active lifestyle for the whole family! Schedule one activity every day. Trust me, I have been sorely tempted to shut down shop and hole up in the jammies from dawn to dusk, but when I have actually given this a go, the kids and I both end up cranky and agitated by the end of the day. It’s as if we need one solid plan to tether us and help us organize our day. DO NOT OVERDO. Go wrong once with this and you’ll understand. While you may need A plan for the day, you don’t need ten. Remember, a break is to be a break. Enjoy a few special things, not tons of them. Similarly, downtime has value. In those moments when your kids are chilling with screen time? Don’t feel guilty! We ALL need downtime, and it’s not a bad thing. Stopping helps us rest our souls so we can tackle the more active moments. Yet, when screentime has been too much, turn it off. This does not mean you need to take off for another event; rather, tell the kids its time for “imagination play”. Suggest they play “family”, “school” or even “Christmas” (depending on the time of year). Should they whine or complain, stick to your guns, mama. They will eventually find their way to non-screen play, and they will enjoy it! When scheduling your activities for the break, lean into places that allow for active movement. While we can’t hit Urban Air every day, a nice zoo or Longwood Gardens visit goes a long way! Any place that allows for running or free place is a win in our book! We love movies as much as anyone, but to keep kiddos active and occupied for a healthy school break, a chance to run around gets you far more bang for your buck. Rock a nightly dance party. I can’t help but love this tradition. The ridiculous songs my kids request from Alexa crack me up: “I Like to Move It”, “Everybody Dance Now”, and “Who Let The Dogs Out?” = brilliance. Not necessarily my favorites, but endless fun as we groove it out in our kitchen. The althetic effort is a health bonus for both the kids and me! DON’T let up on the healthy meal rituals! I know, so tempting to call it quits with your endeavors when there is a break. And absolutely, loosen the reins and enjoy yourselves, BUT amidst the holiday loosening, we still make an effort to square away a solid three meals each day with our kiddos. While a “solid meal” may consist only of a protein and a veggie or fruit, by aiming for this we at least shoot to have our kids eat generally well throughout the day. This allows us to relax in the snacks and corners of our family days. When the ice cream truck rolls down our street? Bring on the summer excitement! BREATHE. I know, so often in this momming gig, pausing feels impossible. But you can do it, friends. Just stop. DO IT. Take a moment. That to-do list? Will never all get done. Your sanity? Will always need the break. Be in the moment as much as you can. Before we know it our young kids will be gone from our nest, and we’ll rue we ever eschewed school breaks. Embrace what you’ve got and enjoy it for what it is–moments espacing into the bathroom for sanity and all! Now that you’ve the whole scoop on what BGCA and their Triple Play Movement is all about, hop in, friends! 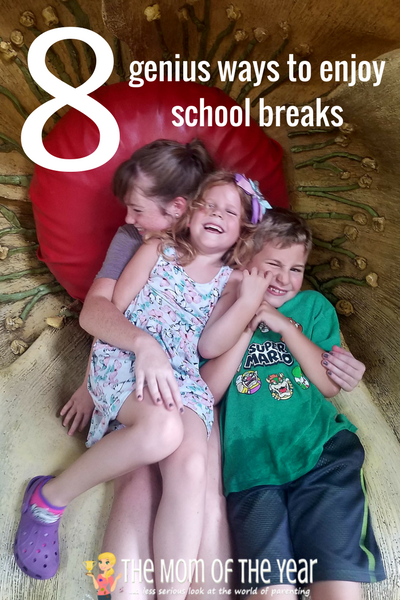 All those upcoming school breaks need not be looming doom, but rather cool opportunities for precious time with your kiddos. Play it smart with these tips to manage a balanced, healthy school break and enjoy some time off that’s a win for all of you!